These tiny stainless steel measuring spoons are great for when required to measure out tiny amounts of culture and/or enzymes. They are also useful for herbs and spices or when following grandma's old recipes that call for a smidgen! Peach / Fruit Pitting SpoonPitting Spoons, sometimes called Stone Removing Spoons, are gre.. 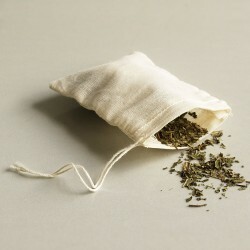 These reusable 100% natural unbleached cotton sacks come complete with cotton drawstring for herbs,s..